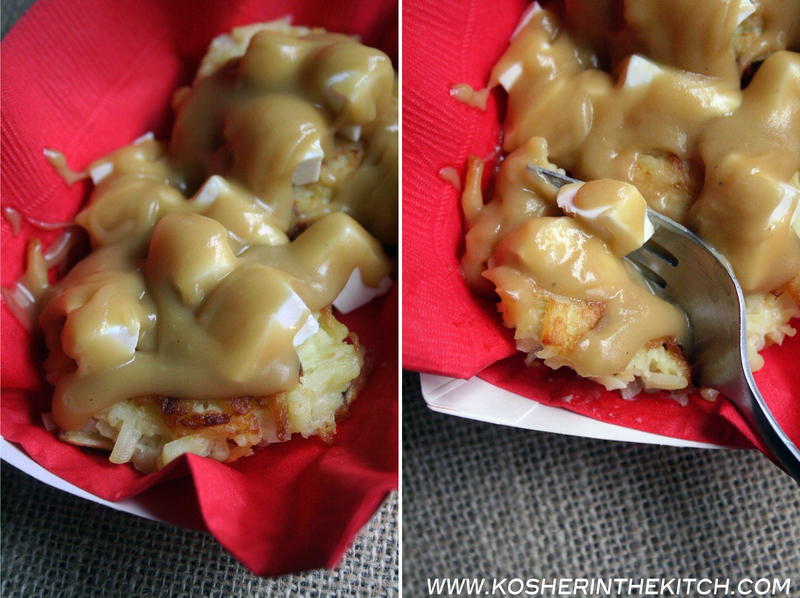 Poutine Latkes - Kosher In The Kitch! Poutine Latkes - Kosher In The Kitch! I do it for the gravy. I like everything smothered in sauce or gravy which is why I love poutine. Poutine is a Canadian dish that features french fries with cheese curds (you can use chopped fresh mozzarella instead) topped with a thick layer of gravy. It’s got carbs and gravy. Can I get an amen? I decided to swap the fries with some crispy potato latkes to make poutine latkes! Think of latkes like a plate of french fries or a baked potato. What do you like to eat those with? Top your latke with that instead! 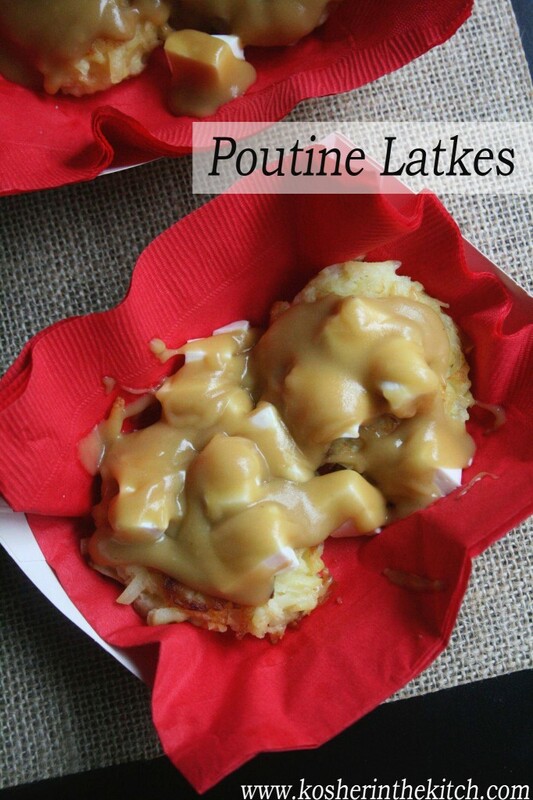 Add these poutine latkes to your list of latkes you NEED to eat this Hanukkah! 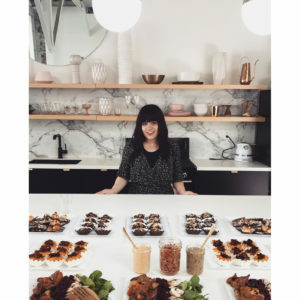 For more fun ways to eat latkes check out these 8 EPIC latke recipes HERE. Combine latke ingredients. Fry up in batches using a tablespoon measuring spoon until both sides are golden brown. Once latkes are cooked set aside. Melt earth balance in a pot over low heat. Add flour and whisk until combined. Slowly add broth. Whisk until combined. Continue whisking over medium heat until mixture thickens. Season with pepper. Add soy sauce and combine. Place two latkes on a small plate or bowl then top with mozzarella . Layer hot gravy over cheese and serve immediately. Wow this looks amazing can’t wait to try them! You always come up with such amazing recipes! Hoop cheese would be a great alternative to the mozz too. Ev looks great!